Text on why you should choose OS/2 as your operating system. From IBM. Microsoft and MS-DOS are registered trademarks. intent and are subject to change. to any other IBM intellectual property. version may ship in late 1992 or in 1993.
address some of Windows 3.1's shortcomings. partially close the gap with OS/2 2.0.
user-friendly interface -- sometime in 1994.
superior operating environment in the future. needs - OS/2 can do both. applications available on an Intel-based platform. environment in which to run them. but adds value by integrating them. IBM-compatible hardware as well as IBM PS/2s. with, not the application that needs to be loaded. on what they want to do, and less on how to do it. definition for user interface design. the client workstations are not fault tolerant. reliability is a requirement for every PC. to match the reliability of the server or host. OS/2 than on DOS or its extensions. INTEGRATING PLATFORM for the 1990s. other alternatives with uncertain delivery dates. there is no need to buy DOS or Windows separately. technologies and a very reliable migration path. only promise for the future - so why wait? What are some alternatives to OS/2? fully satisfying the demands of most in the 90's. work, but the impact was likely to be small. still sometimes ran the processor in Real Mode. necessitate the shut-down of the whole system. dollars invested by software vendors. portfolio of any operating system in the market. were mutually exclusive with networking. OS/2 is easy to use, not just easy to learn. shared between them using the same techniques. performance implications of this are unknown. completely new operating system called Windows NT. add these features to a future version of OS/2. DOS and Windows applications, Microsoft Corp.
DOS device drivers may have to be rewritten. also not been made clear. vendors will be willing to make that investment. Microsoft has a two operating system strategy. clients with more limited hardware requirements. making better use of software developers' skills. performance server in the industry. of Windows, far from being a standard. MYTH #2: EVERYONE IS USING WINDOWS APPLICATIONS. much attention has been focused on these products. small share of what is a small pie". do a lot of I/O for instance, database programs. compare Windows 3.1 and Windows NT to OS/2 2.0. Desktop With Comparisons to OS/2 2.0"
Technical Comparison With OS/2 2.0"
o "Microsoft Windows or OS/2 2.0"
shipped in the first 120 days of availability. capable signaling a trend in the marketplace. THE NUMBER OF NATIVE COMMUNICATIONS PACKAGES. Windows based packages work on OS/2 as well. delivered in the first release. A LIMITATION OR SHORTCOMING IN OS/2. This misses the point and could be misleading. applications than is planned for Windows NT. 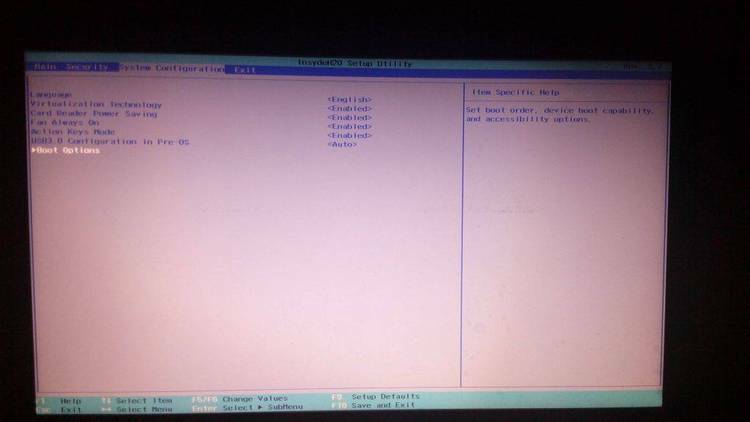 the menus of OS/2 1.x and Windows 2.0.
letters, folders and appointment books. OS/2 gives you the choice. resemblance to the OS/2 Workplace Shell. shows and is now in beta test with customers. technology for both OS/2 and Windows modes. in OS/2 in the near future. Windows 3.1 when it comes to reliability. down another or the whole system. reliability that Windows 3.1 does not offer. same OS/2 session or in different sessions. version and still far less than OS/2 2.0. (UAE) occurs. There is no advantage in this. o NT IS MORE OF AN "ADVANCED OPERATING SYSTEM"
IS A FULL PRODUCT IN THE MARKETPLACE TODAY. engine to end-users later in 1992.
multi-threaded SMP applications in the future. "ill-behaved" applications that might "hog"
be added to the list of what OS/2 will run. were not written for its native mode. will only focus on support efforts on "major"
NT ONCE WINDOWS NT SHIPS. on Windows 3.1 at all. LESS EFFICIENT FOR TIME-CRITICAL APPLICATIONS. that Windows 3.1 does not. Windows NT and OS/2 2.0.
o WINDOWS NT CAN SHARE PRINTERS AND OS/2 CANNOT. most basic of networking functions. OS/2 2.0 offers it all... TODAY. best of all, it's available today. only by the size of the user's hard disk. flexible for the small company or home user. support as well as advanced graphics. 32-bit OS/2 applications in 1992. 2.0 is available on the desktop today. features for Windows 3.1, Windows NT and OS/2 2.0.
may change at any time. applications, which will need updates. Manager, programs in Program Manager, etc. There are no icons for printers. Windows 3.1 and OS/2 V2.0 are $99.95, $149.00 and $149.00 respectively. (4) PC Week - Windows and OS/2 Supplement - August 17,1992 - Page S/1. memory plus all free disk space. directly from the Win 3.1 on-line help system.